The Investigative Project on Terrorism (IPT) is a non-profit research group founded by Steven Emerson in 1995. It is recognized as the world's most comprehensive data center on radical Islamic terrorist groups. For more than two decades, the IPT has investigated the operations, funding, activities and front groups of Islamic terrorist and extremist groups in the United States and around the world. It has become a principal source of critical evidence to a wide variety of government offices and law enforcement agencies, as well as the U.S. Congress and numerous public policy forums. Research carried out by the IPT team has formed the basis for thousands of articles and television specials on the subject of radical Islamic involvement in terrorism, and has even led to successful government action against terrorists and financiers based in the United States. The IPT accepts no funding from outside the United States, or from any governmental agency or political or religious institutions. Tax deductible contributions should be made to its fund-raising arm, the Investigative Project on Terrorism Foundation, a 501(c)(3) tax-exempt organization. Founder and executive director Steven Emerson is an internationally recognized expert on terrorism and national security and author. Consulted by the White House, National Security Council, FBI, Justice Department, Congress and intelligence agencies, Mr. Emerson is in great demand as one of the most astute, insightful and knowledgeable experts in the world today on the threat and prospects of militant Islamic terrorism. He has been quoted in more than 500 news articles and has appeared frequently on network television. His 2002 best-selling book, American Jihad: The Terrorists Living Among Us, provides the first context and understanding for how one of the most notorious terrorist groups in the world could have plotted the worst terrorist attack on American soil without detection or scrutiny by American authorities. "Steve and the Investigative Project on Terrorism have done critically important work for so many years. I've relied on the research and publications that he's done, [and] I know many members of Congress have. If the IPT did not exist, our national security would have been eviscerated by now." "If not for the IPT the militant Islamists and their cohorts will succeed in promoting their dangerous agenda...IPT has been working for decades, literally, to study and to report on these activities and to provide this information, both to the public and to those in the government. We owe the IPT a debt of gratitude that can never be repaid. The very least we can do is give them the fuel to fight this battle for all of us. For if they lose, we all lose. And when they win, we all win. " "The IPT is by far the most invaluable resource on radical Islam in the United States, if not the world. Its continued existence is absolutely imperative for the safety of this country. I have received more sensitive information about the activities of radical Islamic group operating in the U.S. from the IPT than I have received from the FBI, CIA, Department of Justice, and NCTC combined." "The Investigative Project on Terrorism is critical to our nation's security. There is no other non-governmental group that has better intelligence or data on the threat to the United States and our allies. Making do with a bare bones budget, the IPT is a national treasure whose influence and achievements are unparalleled." "[The Investigative Project] was a decade ahead of its time in focusing on the terrorist threat to the United States and to our homeland from Islamic extremism..."
Steve Emerson's Investigative Project on Terrorism is the most important source of information to me and many members of Congress on radical Islam and terrorism. They are a true national asset and treasure. Without their information, we would be much more insecure and endangered. I and so many thousands of our law enforcement and national security advisors consider them to be absolutely critical to our security and those of our allies like Israel. It would be a national security nightmare for the IPT not to have the resources it needs to carry out its mission in exposing and identifying the threat from stealth and violent jihadists. Steve Emerson and his team are true national heroes." "When FBI said there were no Web sites in the U.S. that were recruiting jihadists for training in Afghanistan or soliciting money for terrorist front groups, I asked Steve Emerson to check. Emerson had written the book American Jihad, which had told me more than the FBI ever had about radical Islamic groups in the U.S. Within days, Emerson had a long list of Web sites sitting on servers in the United States. I passed the list to Justice and the FBI..."
Richard A. Clarke, Former Chief Counter-Terrorism Advisor for the National Security Council, Author of Against All Enemies: Inside America's War on Terror. "Steven Emerson's Investigative Project on Terrorism, a not-for-profit research group, repeatedly told me things about terrorists on the web and terrorists in the United States that neither the CIA nor the FBI knew. Often he was right." "The Investigative Project has been one of the most important sources of accurate and timely information on the real goals and objectives of the wide spread and powerful Islamist movement." "Steve Emerson and the Investigative Project (IP) do a really terrific job and the IP is a good repository for information. My experience with the IP is that they have been very methodical and very detail oriented in developing their information. They can look at an organization, particularly a complex organization and through public source information identify potential terrorist threats and possible links to terrorism." Dennis Lormel, Former Chief of Terrorist Financing Operations at the FBI. "Gathering information, the gathering of intelligence information about these terrorists organizations is the single most critical thing that we can do to prevent the next act of terrorism occurring in this country and to me the hallmark and characteristic of the Investigative Project is that they are truly a unique institution in the private sector doing a very important job that nobody else does." "Steve has been on the cutting edge of this for many years and if you look back over time and take a hard evaluation of the things he has accomplished and the kind of information he has made available to the public, the Congress, and to law enforcement, I think he has done an extremely valuable service." "....Emerson was helpful in preparing to cross-examine defense witnesses in the [1993 World Trade Center bombings] case....He's a valuable source of information and knowledge. And in terms of trying to find places to look for evidence, he's a very good person to talk to. He's got a lot of insight." "I just wanted to take a moment to thank the IPT team for the excellent product. I use much of your material in providing Intel Reports and training for my superiors and subordinates. The layout of the articles is logical and the content thorough. Thanks again for helping fight the war on terrorism!" "Steve Emerson and his IPT crew are more knowledgeable about the operations of Islamic terrorism worldwide than any of the hundreds of experts I have interviewed on my show. His group is indispensable to the safety of this country. There is absolutely no one that can take the place of the IPT." Judge Jeanine Pirro, Former Prosecutor, Judge and Fox News TV Host, "Justice with Judge Jeanine"
"The recent significant courtroom victories by victims of international terrorism can trace their success to Steve Emerson's pioneering work. Steve was the first to disclose how terror groups raise funds in the U.S. under the guise of charity and to identify their leadership. The victims and their lawyers owe Steve a great debt." "The Investigative Project on Terrorism has become the most effective and influential counter-terrorist group in the country. No other group is as pivotal to our national security and those of our western allies. We owe Steven Emerson and the Investigative Project on Terrorism our total support on which he depends to protect our lives and that of future generations." Steve Fustero, Publisher of the "Journal of Counter-Terrorism"
"From the outside looking in, there is no more an important organization to the security of this country than the IPT lead by Steve Emerson. I have had the honor of meeting Steve and his crew after 9-11 and I have never in my life witnessed such an impressive operation staffed by the most dedicated analysts and investigators in the world. We who don't deal with real day to day to problems have Steve Emerson to thank for keeping us safe. And for the sacrifices you have made Steve, all I can say is thank you." 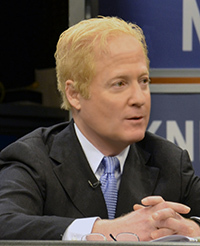 "Steve Emerson is one of the nation's best national security correspondents. His investigative work on radical Islamic fundamentalism is absolutely critical to this nation's national security. There is no one else who has exhibited the same expertise, courage and determination to tackle this vital issue." A.M. Rosenthal, late-managing editor of the New York Times. "With a largely young staff, including Arabic speakers, his outfit subscribes to Arab-language publications, surfs the Internet to visit radical sites, and use public documents to track overlapping directorships among groups. He also collected an impressive array of tapes, videos, and literature distributed by the groups, full of calls for jihad against the West and solicitations for cash..."
Douglas Farah, Blood From Stones: The Secret Financial Network of Terror. "Steve, you have been following this guy [Sami Al-Arian], you have been tracking this guy. You've been - you've been demanding that they do something about this guy ... in fact, if there's one person in the nation who's probably single-handedly responsible for it [the arrest of Al-Arian], Steve Emerson." "Obviously, you're one of the foremost experts on terrorism, not only in America, but across the world." "Steve Emerson knows what he's talking about with terrorism." "You, ladies and gentlemen of the IPT, are crucial to the education of policy-makers and aware citizens in the US and beyond. You demonstrate with every publication of the newsletter, the power of open source intelligence. I am proud of your work and of you." "...[The] Investigative Project, the most comprehensive counter-terrorist institute in the world today. The Investigative Project is uniquely effective in tracking the activities of Islamic militant groups." "Researcher Steven Emerson digs deeper into the threat of Islamic terrorism than most journalists who cover the topic. That might be one reason why many journalists rely on his information for their own reporting. Using a staff of Arabic translators, the Freedom of Information Act, and his contacts at the FBI, Emerson generates the best information available on radical Islam and is increasingly consulted by Congress and other governmental bodies." "No serious study of the terrorist threat to America and the West can take place without studying the work of Steve Emerson. He has been at it for longer than most, and to ignore his work is to imperil ourselves. He is a brave and serious scholar and investigator who helps show the way and is deserving of nothing less than the Presidential Medal of Freedom."